DeepSoul: The Temptations - "The Joneses"
Credit a unique dance step for reviving a forgotten 1991 Temptations track. What group released a commercially and critically disappointing album, only to have one of its songs become a dance anthem? If you guessed The Temptations, you have just identified yourself as a fan of "Chicago Stepping" (also known as "Steppin'"). The 1991 song "The Joneses" may not have ranked very high on the charts, but its distinctive rhythm and laid-back vibe provides the perfect soundtrack for Stepping's intricate footwork. a social dance done in time to music that occurs on a steady recognizable "downbeat." The ability to take steps to the downbeat and still come back in time with your partner is widely accepted as Steppin'. The smooth gracefulness of the dance is also a characteristic of the dance. The dance includes a lead and follow position and thus to be well executed requires physical interaction between the individuals. Various turn patterns, footwork and pulls are all inclusive elements of the dance. What makes a good Stepping song? Midtempo R&B best fits the style, as Stepping consists of eight steps and, according to dance instructors, the steps are counted as 1-2-3----4-5-6----7-8. There are six count patterns to the music as well, which is accented by a strong, steady beat. Thus The Temptations' "The Joneses" fits the bill, as it contains all the essential ingredients optimal for Chicago Stepping. When that shuffling beat kicks in, the bass propels the rhythm. Written by arranger, composer, and backup singer Alton "Wokie" Stewart, the song incorporates a modern beat with the Temptations' classic harmonies. An apparent sample of James Brown crying "watch me!" permeates the album track, stressing its main intention: getting steppers out of the dance floor. Add an infectious keyboard riff, and the result is a Chicago Stepping anthem. Initially, "The Joneses" was not a major hit, peaking at number 41 on the Hot R&B/Hip-Hop Singles & Tracks charts. The album, Milestone, fared no better, reaching number 88 on the R&B charts. 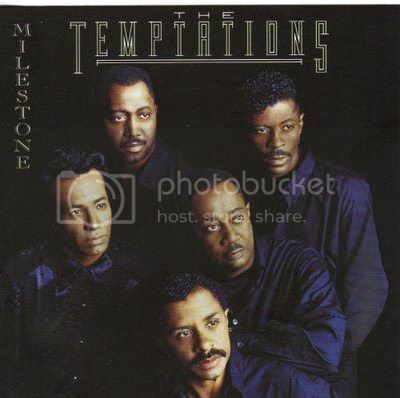 AllMusic dismisses Milestone as "one of the most forgettable records in The Temptations' long and illustrious history. The personnel was unsettled, and seldom has the group ever issued an album with absolutely nothing having a remote shot at being a hit." But Chicago DJs and clubgoers rediscovered the track, rescuing it from complete obscurity. Since the 1960s, The Temptations have changed personnel and altered their sound to fit the times. "The Jones" demonstrates that their patented harmonies and ability to perform memorable hooks remain undimmed by time. Today, Chicago Stepping may be better known through R. Kelly tracks like 2003's "Step in the Name of Love," but classic dance songs like "The Joneses" still function as the dance genre's backbone. Credit this unique dance movement for reviving what could have been a lost gem.